Click here to watch a 2.5 minute clip from our on-boarding video, which provides a detailed introduction to the North Wind Group. 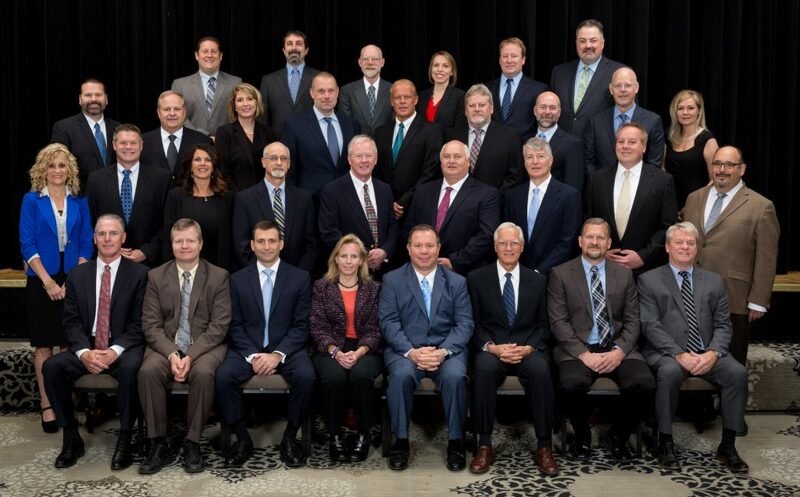 North Wind, Inc. was founded in 1997 as an environmental engineering and earth sciences consulting and management firm with its corporate office located in Idaho Falls, Idaho. On January 1, 2010, North Wind, Inc. was purchased by Cook Inlet Region, Inc. (CIRI), an Alaska Native Corporation (ANC). Today, North Wind has grown to a group of companies with more than a thirty offices nationwide and a staff of more than 1,000 engineers, scientists, construction personnel, and other professionals. Through our ANC status, North Wind 8(a) companies can receive sole source contracts up to $22M, providing our clients with a streamlined avenue to robust capabilities. Subcontracts awarded to North Wind companies under a Federal contract can also be counted towards a Prime Contractor’s small business goals. Visit the Work With Us page to learn more about sole source contracting. North Wind has been recognized as a top performing company. North Wind Group received the 2016 Silver Business Achievement Award from the Environmental Business Journal. Engineering News Record and Inc. magazine have both included North Wind multiple times as a “Top Environmental Firm” in their annual listings of the nation’s top companies. North Wind has also received the Merrill C. Smith Award recognizing the company’s service to veterans, the Better Business Bureau Torch Award for the company’s commitment to ethical business practices and support for the community, the Small Business Administration’s Subcontractor of the Year Award and Administrators Award of Excellence, and the Department of Energy’s Protégé of the Year Award. North Wind, Inc. is an award-winning small business leader founded in 1997. It serves as North Wind Group’s legacy company with over 18 years of experience. North Wind, Inc., established the foundation for the infrastructure, procedures, and processes administered by North Wind Group companies today. Comprised of multidisciplinary engineers, scientists, and construction personnel and the platform processes such as the Certified-ready EVMS, procurement, and integrated baseline system , the company offers the full range of environmental services, waste management, construction, and demolition services. Headquartered in Idaho Falls, Idaho, North Wind, Inc. operates across the U.S. to support Federal, State, and commercial customers and its sister subsidiaries. Its historical client base includes predominantly DOE, selected DoD agencies, and the commercial sector. North Wind, Inc. is a small disadvantaged business and Alaska Native Corporation. 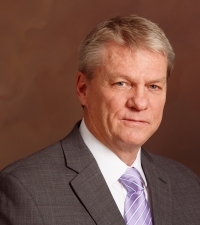 Jeff Scott was appointed as North Wind, Inc. President. Jeff has served as North Wind’s Eastern Regional Manager since 2013. Under his leadership, revenues within the region have steadily grown from $15M annually (in 2013) to a projected $110M in 2017. Mr. Scott directed a team of over 450 personnel actively engaged on projects and regional operations. 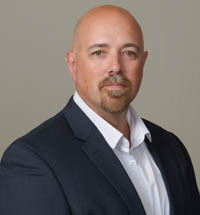 As Operations Manager for the eastern region, he was responsible for resource allocation and project performance for approximately 65 active projects annually in the areas of radiological and nuclear waste processing, disposal, decontamination and demolition; construction; operations and maintenance; in frastructure support services, and environmental characterization and remediation. Jeff is an experienced Senior Manager with 18 years of management experience that spans the full range of construction, remediation and D&D services, including environmental geology and engineering, hydrogeology, and hazardous and radiological waste management, project management, decontamination and decommissioning, demolition, construction, and environmental remediation. He holds a BS degree in Agricultural Engineering (1995) and has been a Certified Project Management Professional since 2011. Prior to joining North Wind in 2013, Mr. Scott served as Director of Project Management for a small company performing remediation, construction, logistics and security services for the US government, primarily in overseas locations. He managed approximately $25M in projects and operations annually. Before that, he served as Chief Technical Officer, Vice President, and Program Manager for an environmental remediation company, managing up to $90M in projects and programs annually. North Wind Solutions is a Government contracting 8(a) small business with operations at military and civilian installations across the United States. The company’s focus is facilities operation and maintenance, waste management and radiological services, security control and force protection, and environmental services. John has 24 years of experience in environmental management, nuclear facility operations and maintenance, engineering, and construction. His career has also encompassed small business startup, marketing and business development, mergers and acquisitions, project management, and applied research. Since joining North Wind Group in 2000, John has served in executive positions including Chief Business Development Officer and President of subsidiary firms North Wind Solutions, LLC and Portsmouth Mission Alliance, LLC. John has corporate responsibility for $350M in six different prime contracts with the Department of Energy, Office of Environmental Management. He also has corporate responsibility for $90M in facilities maintenance and engineering/construction contracts with the Joint Chiefs of Staff at the Pentagon and other east coast locations, the Navy Space and Warfare Command, and the Departments of Justice and Homeland Security. Previously, John held the position of Senior Scientist for Parsons and Lockheed Martin, where he was involved in nuclear waste cleanup programs. He is a registered Professional Geologist and accredited Project Management Professional. John has a B.S. in Environmental Science, M.S. in Hydrogeology, and an MBA from the University of Tennessee. He has also completed Dartmouth College’s Executive Education in Leadership and Business. Incorporated in 2011, North Wind Resource Consulting’s core capabilities includes environmental documentation and permitting; natural and cultural resource surveys; wildlife and botanical expertise; National Environmental Policy Act (NEPA) technical services; historic and prehistoric surveys; environmental consultation such as Section 106 for cultural resources, Section 404 for wetlands, and Section 7 for endangered species); and Geographic Information Systems (GIS) and mapping capabilities. North Wind Resource Consulting maintains offices in Idaho Falls, ID, Phoenix, AZ (with client site offices at Fort Huachuca and Yuma Proving Ground, AZ), Pinedale, WY, and Alexandria, VA. North Wind Resource Consulting is a certified 8(a) and small disadvantaged business. Dr. Jace Fahnestock is the President of North Wind Resource Consulting. He provides vision and leadership by identifying new clients, business lines, and opportunities and ensuring that all work is carried out in a professional, technically complete manner. Before forming North Wind Resource Consulting, Jace was the Vice President for North Wind, Inc.’s Natural and Cultural Resource Division from 2002 to 2010. Prior to joining North Wind, he worked as a research scientist at Colorado State University and the University of Wyoming. He has more than 15 years of experience in university-related research and education. Jace is a certified Project Management Professional (PMP) and has authored or co-authored 30+ scientific publications and has been the Principal or co-Principal Investigator on several National Science Foundation (NSF) and U.S. Department of Agriculture grant awards. He has been a reviewer for 12 scientific journals and for the NSF and the National Aeronautics and Space Administration (NASA). Jace has also served as an advisory panelist for the Long-Term Ecological Research Cross-Site Research Panel for the NSF’s Directorate for Biological Sciences. North Wind Services is a high performing, low risk firm with the experience and qualifications to successfully manage and execute a wide range of technical services, including environmental investigation and restoration, construction, demolition, radioactive and hazardous waste management, public communication and involvement, information management, health and safety/industrial hygiene and emergency response/HAZMAT services. Jim Furr is the President of North Wind Services, LLC. 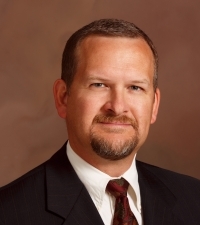 Previously he served as the Vice President and Operations Manager for North Wind’s Southeast Region and Program Manager for North Wind contracts with the USACE Savannah District, DOE Savannah River and Oak Ridge sites, and for numerous industrial and commercial clients in the southeast. Jim is a Licensed Professional Geologist, and an accredited Project Management Professional (PMP) with 30 years of experience in project management, operations, geological and hydrogeological site investigations, and site remediation and closures. 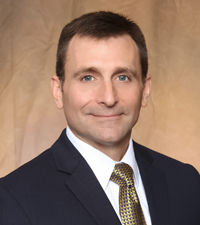 He currently manages large industrial site closures, remediation of firing ranges, abatement and demolition projects, and multi-media remedial investigations, feasibility studies, and corrective actions for industrial and Federal clients. Prior to joining North Wind in 2007, Jim was a managing partner for 17 years with Kubal-Furr & Associates. He has served on the South Carolina Board of Registration of Professional Geologists, the Geological Sciences Advisory Committee for Clemson University College of Engineering and Science, and the Carolina Geological Society. Jim has a B.A. degree in Geology from Clemson University and a M.S. in Geology from Eastern Kentucky University. North Wind Site Services is focused on providing environmental remediation services including remedial investigation, environmental restoration, and unexploded ordnance/military munitions remediation program services, and the related regulatory public involvement services. Kimberley Kearney is the President of North Wind Site Services and served as the Western Regional Manager for North Wind Group for three years. With more than 30 years of experience in the environmental, engineering and construction industries, Kimberley successfully develops, manages and executes work in the federal sector for North Wind. Before assuming the role of President of North Wind Site Services, Kimberley served as President of North Wind Services. Prior to joining North Wind in 1997, she worked for large consulting firms in Anchorage, Alaska. Kimberley earned a degree in Petroleum Engineering from the New Mexico Institute of Mining and Technology in 1988. 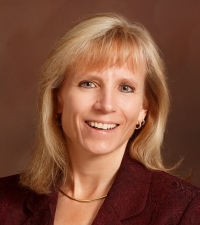 She is certified Project Management Professional (PMP) and a volunteer for the ASPCA. She has served on the Anchorage Post board of the Society of American Military Engineers. North Wind Construction Services provides heavy civil construction services with special expertise in mine reclamation, repository construction and operation, landfill closures, and stream restoration. Operations began in northern Idaho, but have expanded to new regions including Las Vegas, Seattle and Oak Ridge. The Construction Services team is known for successful completion of projects in challenging conditions that are often in remote locations throughout the U.S. North Wind Construction Services is a certified 8(a) and small disadvantaged business. Brent Brooks is the President of North Wind Construction Services (NWCS). Brent brings more than 25 years of experience as a results-oriented leader with proven successes in managing multi-million dollar construction, heavy infrastructure, superfund and environmental projects for government and private-sector clients. He is a technically sophisticated and business savvy management professional with strong leadership qualifications coupled with “hands-on” construction experience. 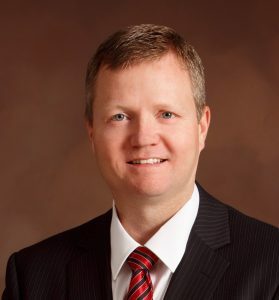 He previously served as Central Regional Manager for North Wind Group. Brent earned his M.S., Construction Management/Civil Engineering, from Arizona State University, Tempe, Arizona; and his B.A., Business Administration/Finance, Point Loma Nazarene University, San Diego, California. North Wind Infrastructure & Technology (NWI&T) provides multidiscipline engineering, technical, management and professional services to federal, commercial and private sectors. Our mission is to provide our clients professional services utilizing innovative technologies and proven management systems. Carsen “Jade” Dye is the President of North Wind Infrastructure and Technology. 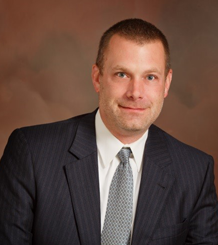 He has more than 20 years of experience in project management, business management, and technical consulting. His knowledge, training and experience in both the technical and business sides of this industry provide a strong foundation for success. He is a certified Project Management Professional (PMP) with additional training in cost and price analysis, business processes, and management accounting. This is coupled with his technical education and experience in geological engineering/hydrogeology (BS), Master’s level Civil Engineering courses, and a Master of Business Administration (MBA). Mr. Dye has field experience with numerous technical projects and solid working relationships with various clients/customers. He has been with North Wind for nearly 11 years and has been a solid contributor to its development and growth. As President of North Wind Infrastructure and Technology, he plans to continue his successful history with North Wind and CIRI and grow North Wind’s customer base nationwide, while maintaining excellent customer relations and the excellent reputation of all North Wind companies. Portage, Inc., is a technically diverse company providing consulting and project execution services to clients on their environmental, engineering, and infrastructure projects. Since its establishment in Idaho Falls in 1992, Portage has completed over $1.2 billion of projects focused primarily on investigations, remedial/response actions, and removal of radiological, hazardous, and toxic waste for federal, state, tribal, and local governments and private industry clients. Portage is ISO9001 certified and has an active NQA-1 compliant Quality Assurance Program. Portage is based in Idaho Falls, Idaho, with satellite offices throughout the country. On January 20, 2017, Portage, Inc., was acquired by North Wind Group. In 2017, Jeff Scott was appointed as North Wind Portage President. Jeff has served as North Wind’s Eastern Regional Manager since 2013. Under his leadership, revenues within the region have steadily grown from $15M annually (in 2013) to a projected $110M in 2017. Mr. Scott directed a team of over 450 personnel actively engaged on projects and regional operations. As Operations Manager for the eastern region, he was responsible for resource allocation and project performance for approximately 65 active projects annually in the areas of radiological and nuclear waste processing, disposal, decontamination and demolition; construction; operations and maintenance; in frastructure support services, and environmental characterization and remediation. Weldin Construction, LLC (WCL) is a multi-disciplinary construction company founded in 1991 specializing in commercial and industrial construction in remote locations with challenging logistical requirements. Weldin Construction has proven performance throughout the United States and the Pacific, including projects in Guam, Wake Island, and Johnston Atoll. Weldin is certified under the SBA HUBZone program with over 25 years of experience headquartered in Alaska with offices nationwide. Tom Selmer has been appointed as acting President of Weldin Construction, LLC, a North Wind Company. Tom has 23 years of experience in all facets of construction, including an extensive background in vertical construction with duties and responsibilities in project management, project layout and scheduling, crew supervision, and coordination of subcontractors and supplies. He’s managed multidisciplinary teams, provided staff training, oversight of quality assurance and control, and is well versed in building safety codes, standards and regulations. Tom has been with Weldin since 2009, and has been leading the North Las Vegas office of construction activities for the last several years. Since 2012, Silver Mountain has performed over $52 million in a variety of construction projects ranging from design-build to repair and renovation in a variety of locations. Silver Mountain manages both task order IDIQ contracts as well as competitive bid and sole source projects, including 100% design, design-build, demolition, facilities repair, DOD fuels systems, and new construction. Silver Mountain is a certified 8(a) small disadvantaged business headquartered in Alaska with offices nationwide. 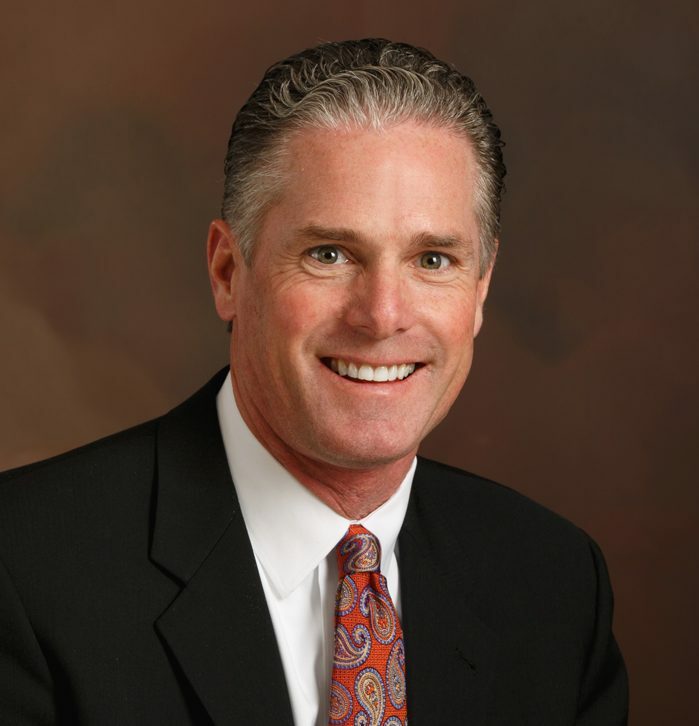 Brent Brooks is the interim President of Silver Mountain Construction. Brent brings more than 25 years of experience as a results-oriented leader with proven successes in managing multi-million dollar construction, heavy infrastructure, superfund and environmental projects for government and private-sector clients. He is a technically sophisticated and business savvy management professional with strong leadership qualifications coupled with “hands-on” construction experience. He previously served as Central Regional Manager for North Wind Group. Brent earned his M.S., Construction Management/Civil Engineering, from Arizona State University, Tempe, Arizona; and his B.A., Business Administration/Finance, Point Loma Nazarene University, San Diego, California. Founded in 2005, ANC Research & Development, LLC (ANC R&D) is an Alaska Native owned Small Disadvantaged Business. ANC R&D has successfully served as the prime contractor on multiple Federal contracts. ANC R&D has provided Federal Government agencies with administrative support, engineering, information technology, program/project support, technical assistance, and a full range of civil construction and construction management capabilities. ANC R&D is headquartered in Colorado with offices nationwide. In 2017, Michael Chan was appointed as ANC Research & Development President. Michael has served as Silver Mountain Group’s, Southeast Region Program Manager. He was responsible for leading Silver Mountain Group’s southeast expansion efforts including strategic planning, operations and managing all regional activities. Under his leadership and teamwork, two of Silver Mountain Group’s subsidiaries Weldin Construction and Silver Mountain Construction were awarded contracts on a NASA Regionalized Multiple Award Construction Contract with a projected value of $3B. Michael is an experienced leader and senior manager. He served in the U.S. Navy for over 24 years as a Sailor and civilian in the U.S., Europe, Africa, Asia and Southwest Asia. He has flown over 2000 flight hours in various aircraft including the ES-3A and P-3C. He made two deployments to Iraq in support of Operation Iraqi Freedom with the Navy and Marines. In 2010, he was the U.S. Navy’s Country Engagement Officer (CEO) to the United Arab Emirates. In 2012, he served as Operations Program Director, Command Administration Director and Future Operations/Plans Director, NAS Jacksonville, FL and was responsible for administration, planning and operations of over $80M in runway construction projects. After retirement in 2014, he was an Operations and Maintenance Supervisor for Jacksonville Aviation Authority. Prior to joining Silver Mountain Group, he was a Special Assistant to Commander, Region Navy Southeast. Michael earned degrees from the University of North Florida in Criminal Justice and Political Science and has completed National Security graduate courses at the Naval War College.